In the United States, historians and the broader public have, for most of the past two centuries, looked at the American Revolution principally as the first step in the creation of the American nation. They have stressed the process of nation building epitomized by the creation of a republican political regime in each state and the subsequent establishment of a federal system for the distribution of power between the states and the nation. They have emphasized the centrality of the drive for national self-realization that, beginning during the revolutionary era, provided the foundation for an American national identity. From the national-state perspective that has largely shaped the writing of United States history, such an emphasis makes considerable sense. For developing an understanding of why a revolution occurred in North America during the late eighteenth century and what that revolution was, however, it is, in at least two major respects, seriously deficient. First, it obscures the extraordinary extent to which the American Revolution was very much a British revolution. Second, it seriously underestimates the powerful continuities between the colonial and the national eras and thereby significantly overestimates the revolutionary character of the revolution. In this essay, I will argue that the American Revolution can be most fully comprehended by viewing it as the first step in the still incomplete process of dismantling the imperial structures created during the early modern era to bring newly encountered areas of the globe into political, economic, and cultural association with the new nation-states of Europe. The first of many such events, the American Revolution differed somewhat from many of those that followed it. I will sketch out some of the more important of these differences, differences that defined and accounted for the particularity of the American Revolution. In doing so, I will focus on three subjects: first, the nature of the British imperial polity in which the revolution occurred; second, the character of the political societies that participated in it; and, third, the nature of the republican polities created during it. With regard to the first subject, the early modern English or, after 1707, British Empire was not held together by force. England may have been one of the earliest and most centralized and efficient of the nation-states that emerged in western Europe during the fifteenth, sixteenth, and seventeenth centuries. Like all the rest of those states, however, it was, for much of the two centuries after 1560 and more especially after the union with Scotland, a composite state characterized by indirect governance, fragmented authority, an inchoate theory of national sovereignty, and limited fiscal, administrative, and coercive resources. These conditions dictated that the new extended transatlantic polity we now call the British Empire would not be characterized by a devolution of authority outward from an imperial center to new American peripheries. Rather, authority in that empire would be constructed from the peripheries outward, in two phases. The first involved the creation in America, through the activities of participants in the colonizing impulse, of new arenas of local and individual power. The second involved the actual creation of authority through negotiation between these new arenas and the metropolitan representatives of the center that aspired to bring them under its jurisdiction and to which they desired to be attached. In the earliest stages of this colonizing process, the English state, lacking in revenue, had no choice but to farm out the task of colonization to private groups organized into chartered trading companies or to wealthy individuals known as proprietors. But none of these entities was able to mobilize on its own the resources necessary to establish a successful colony. Hence, they had no choice but to seek cooperation and contributions from settlers, traders, and other individual participants in the colonizing process. Efforts to enlist such cooperation acknowledged the fact that the actual process of establishing effective centers of English power in America was often less the result of the activities of colonial organizers or licensees than of the many groups and individuals who took actual possession of land, built estates and businesses, turned what had previously been wholly aboriginal social landscapes into partly European ones, constructed and presided over a viable system of economic arrangements, created towns, counties, parishes, or other political units, and subjugated, reduced to profitable labor, killed off, or expelled the original inhabitants. By dint of their industry and initiative, tens of thousands of immigrants created social spaces for themselves and their families and thereby manufactured for themselves status, capital, and power. Throughout early modern English/British America, independent individual participants in the colonizing process, English and other Europeans, were thus en-gaged in what can be described as a deep and widespread process of individual self-empowerment. In the contemporary Old World, only a tiny fraction of the male population ever managed to rise out of a state of socioeconomic dependency to achieve the civic competence, the full right to have a voice in political decisions, that was the preserve of independent property holders. By contrast, as a consequence of the easy availability of land and other resources, a very large proportion of the adult male white colonists acquired land or other resources, built estates, and achieved individual independence. This development gave rise to strong demands on the part of the large empowered settler populations for the extension to the colonies of the same rights to security of property and civic participation that appertained to the empowered, high status, and independent property holders in the polities from which they came. In their view, colonial government, like metropolitan government, should guarantee that men of their standing would not be governed without consultation or in ways that were patently against their interests. Along with the vast distance of the colonies from Britain, these circumstances powerfully pushed those who were nominally in charge of the colonies toward the establishment and toleration of political structures that involved active consultation with local settlers. Consultation meant that local populations would more willingly both acknowledge the legitimacy of the authority of private agents of colonization and contribute to local costs. The earliest stages of colonization thus resulted in the emergence in new colonial peripheries of many new and relatively autonomous centers of English power effectively under local control. Once these centers of local power had been established, agents of metropolitan centralization found it exceedingly difficult to bring them under regulation. Even after the crown had assumed responsibility for all but a few of the colonies, royal officials found themselves having to govern large populations of independent property holders who insisted on living under political arrangements that provided them with extraordinary local autonomy and with the fundamental guarantees of Englishness, including especially government by consent, rule by law, and the sanctity of private property, defined as property in individual legal and civil rights as well as property in land and other forms of wealth. Combined with the scarcity of fiscal and coercive resources and the reluctance of the metropolitan government to spend money for imperial purposes, settler expectations inevitably meant that authority in the early modern British Empire would not be concentrated at the center but, instead, distributed between the center and the peripheries. More specifically, these conditions meant that the metropolitan government would lack the means unilaterally to enforce its will and authority in distant peripheries, that central direction in the British Empire would be minimal, that metropolitan authority in the colonies would be consensual and heavily dependent on provincial opinion, and that effective power in distant colonial polities would be firmly situated in provincial and local governments, which were widely participatory and solidly under the control of large, broadly based, and resident property-owning settler classes. The early modern British Empire was thus a loose association of largely self-governing polities. What was legal, what was constitutional, was determined not by fiat but by negotiation. The self-made, possessing settler classes of these polities acknowledged metropolitan authority not because it was imposed on them or, primarily, because, as some contemporaries wrote, it afforded them a degree of protection in a war-prone world and gave them access to wider markets and cheaper manufactures. Rather, they accepted that authority because it brought with it incorporation into a larger system of national identity that guaranteed their Englishness, their inheritance in the form of English legal and political traditions, and their continuing control over the polities they had helped to create and to which they were committed. Predominantly reflecting a respect for the extensive empowerment and high degree of corporate and individual liberty of landowning classes, British imperial governance, like British internal governance, functioned in the colonies to preserve that empowerment and liberty and the property on which it was founded. If the British Empire was a consensual empire composed of a loose association of essentially self-governing polities in which authority and effective power were distributed between the center and the peripheries, the settler societies that emerged in colonial British America were, both socially and politically, certainly the most radical in the contemporary Western world. Colonial enterprisers and many of the earliest settlers hoped to establish hierarchical social orders and authoritative institutions of state and church of the kind they had known in England. From the beginning, however, social and economic conditions in America operated to prevent them from realizing their aspirations. The wide availability of land and the scarcity of labor incited individual settlers to industry, activity, and schemes of improvement, and they built societies that were radically different from most societies in the Old World. These new settler societies had, among the free segments of the population, significantly higher proportions of property holders, higher rates of family formation, broader opportunities for achieving economic competence and personal empowerment, less poverty, fewer and less rigid social distinctions, and far less powerful and obtrusive political and religious establishments. The fundamental social barrier that in the Old World separated the genteel from the common sort who worked with their hands was far more permeable and far less formidable in America. In the expansive world of colonial British America, a world characterized, especially during the six decades just before the American Revolution, by extraordinary territorial, demographic, and economic growth and social development, the more or less continuous process of social elaboration in older areas and community formation in newer regions meant the more or less continuous creation of new opportunities, new property, and new authority. From the beginning of settlement, ambitious men and women seized the opportunities available to them to acquire substance and to demand a share of that public authority that throughout the English-speaking world had long been an attribute of substance. As a result, the settler societies of colonial British America never developed the social foundations necessary for either an aristocracy or a social system of legally established ranks. Social differentiation proceeded apace, as some families outdistanced others in the drive for material success and social achievement. But social hierarchies were always open to infiltration or challenge from below: elite authority was tenuous, deference was weak, social relations exhibited a deeply egalitarian cast, gentility coexisted uneasily with commonality, and the combinations of older and newer gentlemen who dominated public life on the eve of the revolution did so at the sufferance of their less wealthy neighbors. From time to time and place to place, some members of these largely self-created and always continuously circulating and reformulating elites aspired to unify social, political, cultural, and economic authority in themselves, but few of them were ever able to do so to a significant degree over a long period. In contrast to the complex and highly stratified world of early modern Europe, these settler societies were thus essentially rankless societies in the sense that all free people occupied the same status before the law and enjoyed the same opportunity to strive for social respect. The profoundly egalitarian social orders of the free segments of these settler societies would provide a sturdy foundation for the limited egalitarian impulses of revolutionary and early republican America. If these settler societies were exceptional in terms of their abundant life chances for free individuals and social elasticity, they were also latently republican. Long before they formally became republican in 1776, the British colonies in America, as Adam Smith pointed out in The Wealth of Nations, were “republican” in “their manners . . . and their governments.” With economic competence and political empowerment so widely distributed, government rested on a broad, popular base. Political leaders, increasingly drawn from a narrower band of those ambitious to shine in the public realm, could retain power only by catering to the wider interests they shared with this larger citizenry. In the remarkably popular polities they created, settlers dominated both the legislatures that enacted and the courts and civil offices that enforced the laws, laws that principally expressed settler concerns to preserve the property they were creating through their individual pursuits of happiness. Compared with that of England, the public realm in these settler polities was relatively inexpensive and unobtrusive. Civil or bureaucratic establishments were small and largely volunteer. With little poverty, there were few expenses for maintaining the poor. With either weak church establishments and practical toleration or full religious freedom, there were small or no tithes. With no standing armies, defense costs were slight except during the last intercolonial wars from 1739 to 1763. All of these conditions meant that, compared to the polities of the Old World, taxes were inconsiderable and the proportion of private income that went for public expenditures was very small. Serving a citizenry that exhibited an unusual degree of political enlightenment and a warm attachment to their identities as freeborn Britons, the leaders of these settler republics stood for not only inexpensive but also locally autonomous government. Deeply suspicious of any intrusions of external power from the metropolis, they were determined to keep authority in local hands. Colonial British Americans thus subscribed to the ideas that society was anterior to government; that the functions of laws, governments, and constitutions were to promote the ends of civil society, especially the great end of facilitating the pursuit of happiness by the individuals who composed that society; and that that pursuit would be, for most people, conducted far more satisfyingly in the society of the family, the neighborhood, or local civic institutions than in the small public arenas at the provincial level. Within these settler republics, as within the broader British imperial polity, much effective power remained within and radiated upward from the localities. Everywhere by the middle decades of the eighteenth century, well-articulated provincial creole identities sustained this deep and abiding localism. These identities were derived out of the nature of the specific physical spaces occupied, the societies constructed in those spaces, and the experiences—the histories—shared by several generations of inhabitants of those spaces. Throughout the colonial period and beyond, however, the radical character of these social polities always existed in tension with another and perhaps an even deeper social impulse, the impulse to create in America cultural spaces and societies that were recognizably English. Settlers thought of themselves as involved in a great social and cultural transformation of the territories they occupied. In this transformation, individual European settlers and African slaves and their creole descendants slowly substituted a European for an indigenous landscape and system of political and cultural arrangements. Beginning on the European seaboard, they replaced the extensive agricultural villages, hunting camps, and paths of the Amerindians with intensive agricultural settlements laced with roads, country market towns tied to sizable coastal trading posts, and increasingly sophisticated commercial and social infrastructures, including stores, taverns, courthouses, and churches. In the process, they inscribed the landscape with property lines and created civil polities to enforce property divisions. Those involved in this process—settlers, land developers, merchants, and artisans—conceived of it as a massive civilizing project. Deeply aware of the profound transformative effects of what they were doing, they thought of themselves as engaged in a laborious and noble effort to conquer the wilderness by felling forests, creating new fields, orchards, and pastures, substituting domestic for wild animals, and otherwise bringing the land under their mastery. In the process, they changed indigenous landscapes that to them appeared rude, uncultivated, and under-utilized into spaces that were civil, cultivated, and productive: improved spaces that represented the outermost extensions of those Old World places on which they relied for their norms and standards of a civil society. From the beginning of English settlement in 1607, this story of the transformation of the wilderness was the principal story that informed, connected, and gave meaning to the lives of the millions of people who participated in it. Along with their ancient bonds of consanguinity, culture, traditions, and language, their close ties of economic interest, their continuing need for metropolitan military and naval protection, and their enjoyment of the laws and liberties of Britons, the obvious achievements represented by this ongoing transformation powerfully reinforced, throughout the late colonial era, settler attachment to Britain. Simultaneously, however, the continuing gap between those achievements and the standards of the metropolitan center, between the relatively undifferentiated and simple agricultural societies settlers had created in America and the increasingly refined and cultivated world of metropolitan Britain, as well as their extensive use of African slavery rendered their claims to Britishness problematic and stimulated a profound yearning for metropolitan recognition of the validity of those claims. From the perspective of later political revolutions, the revolution that occurred in this particular empire on the part of these particular societies was distinctive. It was not the result of internal tensions, social, religious, or political. Although the southern and middle colonies were wealthier than New England and although high military expenditures during the Seven Years’ War created short-term economic problems for some colonies, all of them were broadly prosperous on the eve of the American Revolution. Throughout the 1760s and 1770s, the colonies continued to exhibit the territorial expansion, the economic and demographic growth, and the social elaboration that had long characterized them. What may make the American Revolution different is that the origins of the revolution lay not in America but in Britain. As metropolitan officials increasingly began to appreciate the growing economic and strategic importance of the colonies to British prosperity and national power in the 1740s and 1750s, they more and more began to worry lest the weakness of metropolitan authority and the extensive autonomy enjoyed by the colonies might somehow lead to their loss. Moved by such fears and developing a new sense of imperial order that would only reach full flower in the nineteenth century, they undertook a series of measures, the combined effects of which would have been to change the British Empire from the loose federal polity it had long been into a more unitary polity with authority more clearly fixed at the center. Such measures directly challenged the autonomy of colonies over their local affairs. By subjecting the colonies to legislation and other directives to which the settler populations of those colonies had not given their consent, those measures also called into question settler claims to a British identity, the central element of which was the capacity of colonists, as Britons, to enjoy the traditional rights of Britons. Not surprisingly, these measures, interpreted by the vast majority of the broadly empowered settler populations in the colonies as an effort to subject them to a far more intrusive imperial order, elicited a powerful defense of the local corporate rights of the colonies and a rising demand for explicit metropolitan recognition of settler entitlement to the British liberties and the British identity settlers associated with those local rights. Along with the intense settler resistance to these new measures, the stridency of their demands wounded metropolitan pride and provoked counter and highly condescending assertions of metropolitan superiority that suggested that colonists, far from being true Britons, were a kind of Others whose low characters, rude surroundings, and barbarous cruelty to their African slaves rendered them, on the scale of civilization, only slightly above the Amerindians they had displaced or the Africans among whom they lived. Such attitudes powerfully informed the measures that elicited the broad-based and extensive settler resentment and resistance of 1774–1775 and the decision for independence in 1776. 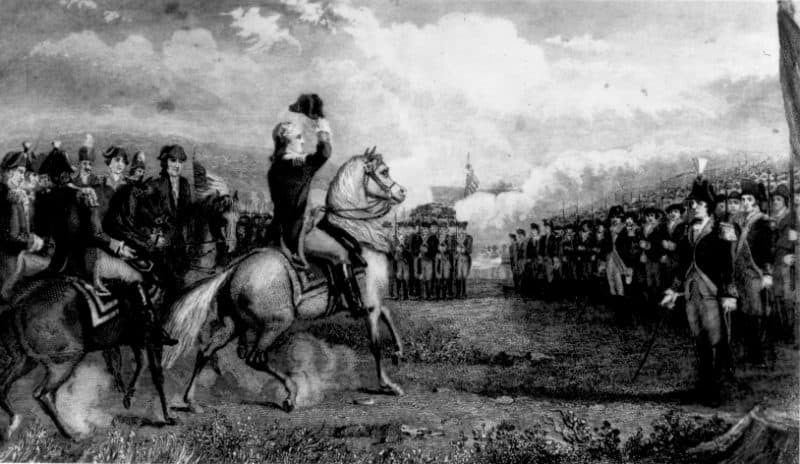 The American Revolution can thus best be understood as a settler revolt, a direct response to metropolitan measures that seemed both to challenge settler control over local affairs and to deny settler claims to a British identity. In rejecting monarchy and the British connection and adopting republicanism, the leaders of these settler revolts did not have to preside over a wholesale, much less a violent, transformation of the radical political societies that colonial British Americans had constructed between 1607 and 1776. In the words of one later commentator, “when the people of the United Colonies separated from Great Britain, they changed the form, but not the substance of their government.” In every state, peculiar social, religious, economic, and political tensions shaped the course of revolutionary development. Indeed, these local tensions primarily account for the substantial differences in the revolutionary experiences from one state to another. Wherever during the late colonial era there had been abuses of executive authority, judicial or civil corruption, unequal representation, opposition to a state church, or other political problems, the new republican state constitutions or later legislation endeavored to address those problems. Against the background of the deepening political consciousness generated by the extensive political debates over the nature of British imperial constitution after 1764, the creators of those constitutions also experimented, in limited ways, with improvements to their existing political systems. The widespread political mobilization that occurred after 1764 and especially in 1775–1776 also resulted, in many states, in an expansion of legislative seats and public offices and a downward shift in political leadership that brought more settlers of somewhat less, though still substantial, property into active roles in the public realm. With astonishingly few exceptions, however, leaders of late colonial regimes retained authority through the transition to republicanism, and the republican regimes they created in 1776 and after bore a striking resemblance to the social polities they replaced. Everywhere, political authority remained in the hands of the predominant groups among the existing settler population. As during the colonial period, the central government, an unintended consequence of the union of colonies that had come together to resist metropolitan aggression, was weak. In contrast to the French Revolution, the American Revolution did not produce a unitary national state. Effective power remained in the states, even, for a century or more, after the strengthening of the national government with the Federal Constitution in the late 1780s. For at least another century, provincial or state identities remained more powerful than the continental, or American, identity that only began to develop during the 1760s and 1770s. At the state and local levels, government remained an instrument of settler desires. Although it was somewhat more broadly participatory, it continued to rest on a limited conception of civic competence, which extended only to independent people, and on equality, that is, civil or religious equality among such people. The exigencies of war stimulated an extraordinary expansion of the public realm, and, at least during the earliest decades, republican government turned out to be far more intrusive than colonial government had ever been. Yet settler leaders continued to prefer inexpensive and small government. As during the colonial era, they kept bureaucracies small, refused to pay for permanent peacetime military and naval establishments, and were cautious in supporting public works. Like their colonial counterparts, these republican polities everywhere continued to be instruments of the predominant settler classes, principally concerned with the maintenance of orderly social relations, the dispensing of justice, and, most important of all, the protection of private property. Nor did the new republican regimes preside over a large-scale social reconstruction. The pursuit of individual domestic happiness in the private realm remained the central cultural imperative. The social order continued to be open, social relations continued to be fundamentally egalitarian, wealth remained the primary criterion for social standing, and aspiring elites continued to decry the absence of deference from those of less wealth. With no restraints on the accumulation of private wealth, social differentiation continued unabated. Despite their own frequent, albeit often unintentional, transgressions against private property, republican state settler regimes continued to reaffirm the sanctity of private property. Land titles remained secure, except for some of those who opposed the revolution, some of whose land was confiscated and sold to pay public expenses. Next to land, slaves were the most valuable form of property in the states as a whole, and notwithstanding the emergence of a powerful antislavery movement after 1760, the institution of slavery persisted in every state in which it retained its economic viability and represented a substantial investment. As Chief Justice John Marshall later observed, “all contracts and rights, respecting property, remained unchanged by the Revolution.”15 In effect, the decision to retain or abolish slavery was, like so much else in the new American republic, a matter for local option. So intent have some scholars been on assimilating the American Revolution to the great European revolutions, on emphasizing its revolutionary character and radical discontinuity with the American past, that they have by and large neglected to explore the bearing of earlier American political and social experience on the events and developments of the American Revolution. A comprehension of the important implications of American social experience on contemporary understandings of that experience powerfully suggests that the colonial and revolutionary eras were much of a piece. The most radical result of the revolution was the steady and substantial reconception of political and social relations that occurred over the following half-century. In my view, however, this conceptual discontinuity needs to be understood for what it was: an elaborate working out of the logic of some of the tendencies long characteristic of the loose imperial polity of the early modern British Empire and the radical political societies of colonial British America, societies that, precisely because of their radical character, could make such a profoundly conservative revolution. Jack P. Greene’s research interests include most aspects of the early modern English/British empire in the Americas. Since 1966, he has been a member of the Department of History at Johns Hopkins University, and since 1976 the Andrew W. Mellon Professor in the Humanities. This academic year, Greene is Andrew W. Mellon Senior Fellow at the John Carter Brown Library, where he is completing a quantitative study of the social structure of settler Jamaica in the early 1750s and pondering how best to finish a multi-volume study of the changing representation of Britain’s four most prized plantation colonies—Virginia, Barbados, Jamaica, and South Carolina—from the beginning of the seventeenth century through the first quarter of the nineteenth century. 1 This subject is explored more fully in Jack P. Greene, Negotiated Authorities: Essays in Colonial Political and Constitutional History (Charlottesville, Va., 1994). 2 For a fuller consideration of these matters, see Jack P. Greene, The Intellectual Construction of America: Exceptionalism and Identity from 1492 to 1800 (Chapel Hill, N.C., 1993), 63–129. 3 Jack P. Greene, Peripheries and Center: Constitutional Development in the Extended Polities of the British Empire and the United States, 1607–1788 (Athens, Ga., 1986), deals at greater length with the issues treated in this and succeeding paragraphs. 4 Adam Smith, An Inquiry into the Nature and Causes of the Wealth of Nations (1776), in R. H. Campbell and A. S. Skinner, eds., The Glasgow Edition of the Works and Correspondence of Adam Smith, 6 vols. (Oxford, 1976–83), 2: 572, 583–84, 586. 5 This subject is discussed at length in Greene, Intellectual Construction, 63–129. 6 Jack P. Greene, Pursuits of Happiness: The Social Development of Early Modern British Colonies and the Formation of American Culture (Chapel Hill, N.C., 1988), provides a general account of colonial British-American social development. 7 Smith, Wealth of Nations, 585. 8 James Wilson, Lectures on Law, in Robert Green McCloskey, ed., The Works of James Wilson, 2 vols. (Cambridge, Mass., 1967), 1: 86, 88, 233. 9 Samuel Williams, Natural and Civil History of Vermont, 2 vols. (Walpole, N.H., 1794), 2: 415. 10 The interpretation advanced here is developed more fully in Jack P. Greene, “Empire and Identity from the Glorious Revolution to the American Revolution,” in Wm. Roger Louis, ed., The Oxford History of the British Empire, 5 vols. (Oxford, 1998–99), 2: 208–30. 11 See Elizabeth Mancke, “Another British America: A Canadian Model for the Early Modern British Empire,” Journal of Commonwealth and British History 25 (1997): 1–36. 12 For a contrary view, see Gordon S. Wood, The Radicalism of the American Revolution (New York, 1992). 13 Chief Justice Morrison Waite, quoted by E. L. Jones, “The European Background,” in Stanley L. Engerman and Robert E. Galman, eds., The Cambridge Economic History of the United States, Vol. 1: The Colonial Era (Cambridge, 1996), 109. 14 Jackson Turner Main, “Government by the People: The American Revolution and the Democratization of the Legislatures,” William and Mary Quarterly, 3d ser., 23 (1966): 391–407. 15 John Marshall, as quoted by Jones, “European Background,” 109. 16 Wood, Radicalism of the American Revolution.